Designed to accompany our fantastic Rida-Tec Summer Jacket but also a great waterproof jacket in its own right. 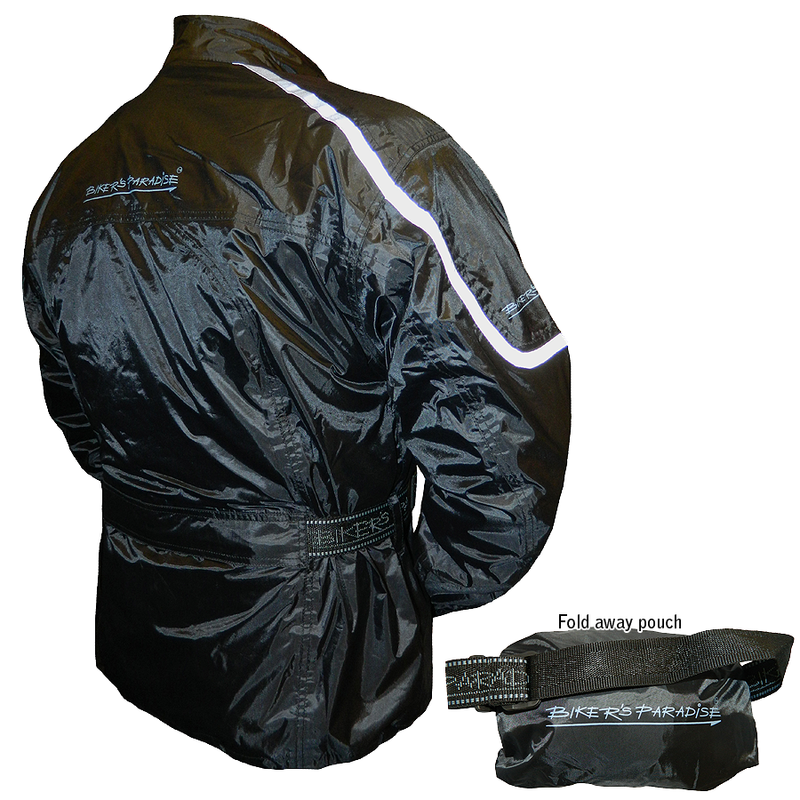 Front zip fastening with waterproof flap over (Velcro). Elasticated drawstring bottom for extra security against the wet. Adjustable belt around the middle for a snug and comfortable fit. High collar for extra protection. 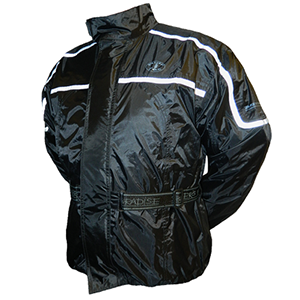 Reflective strips on front, back and arms for good visibility. Concealed zip pouch pocket in the back which the jacket folds neatly away in to, with a handle for easy transportation and storage (pictured).